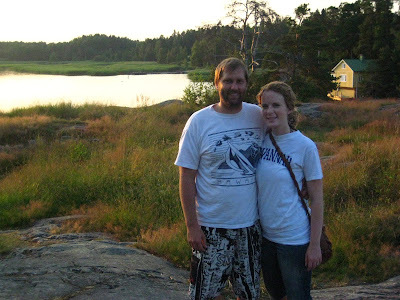 As of Tuesday Robert and I have been home from our wonderful 10-day European vacation! We started it off in Finland for 6 days with Robert's mom and sister Kathy. The last 3 days were spent in Paris, but that'll be on the next post! Our first night swim in the Baltic! Oh and this is at like 11pm, the sun doesn't set until midnight-ish! 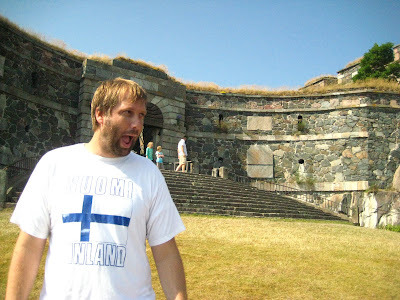 An old fort island called "Suomenlina" in Helsinki, Robert looooved it. 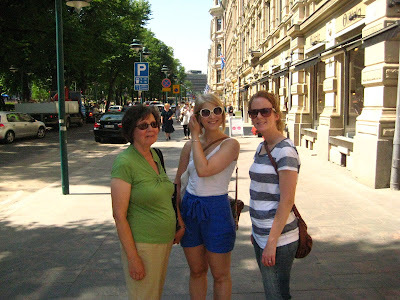 Shopping in Helsinki with my mother-in-law Eila and Robert's cute cousin Petra Kirsi, who lives in Helsinki. 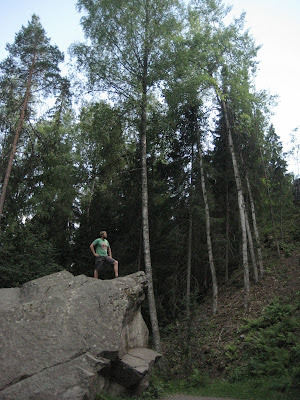 We went to a park called "Aulanko" it was SO pretty with tons of things to see and climb in Robert's case. 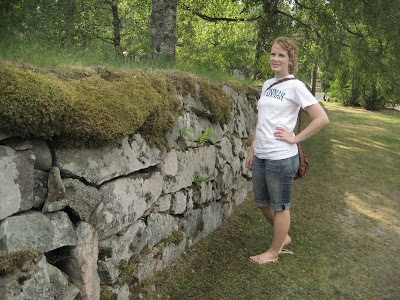 Me next to an old wall at an old rock church we went to see, I loved how the moss and grass were growing on top of this wall, so neat. 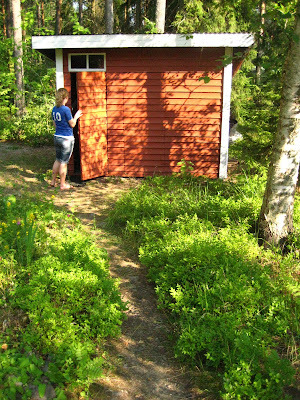 Our last full day in Finland we spent the day at the lake house of a relative, Ritva and her husband, everyone, well mostly, has a lake house in Finland. 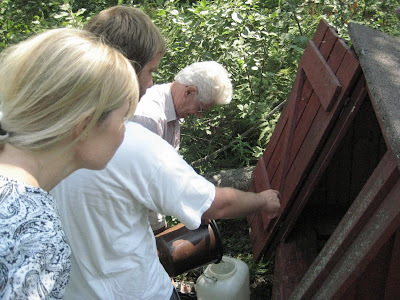 Most of them don't have running water or electricity, true camping! 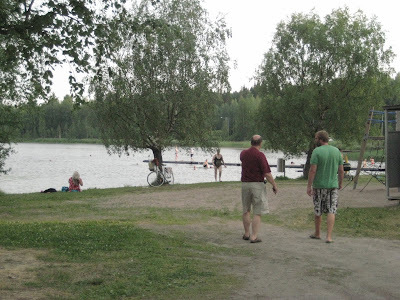 Robert and his uncle Jukka walking down to a lake to go swimming, again around 10pm at night! 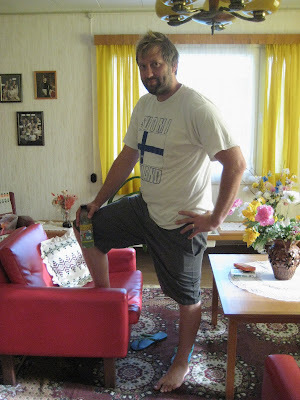 Robert striking a pose at his Mummi's house that we stayed at in Lahti, Finland for 2 days. 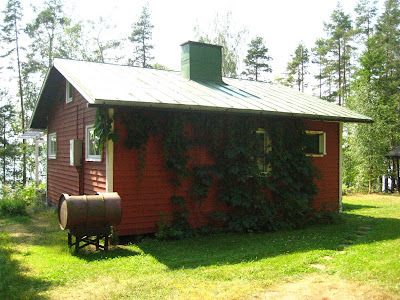 the cabin. 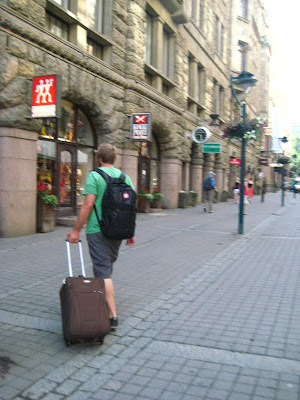 walking through Helsinki on our way to Paris! 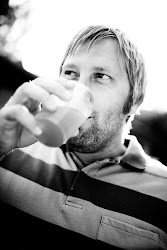 To see more pictures check out the album I'm soon to put on my facebook page! I saw your comment over at cjane and had to come check you out. Love your hair!